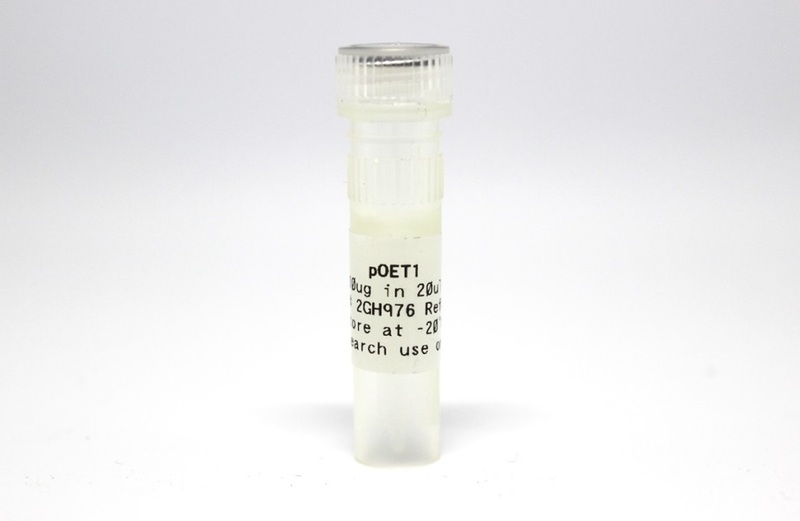 pOET8.VE3 (cat# 200123) (10µg) is a baculovirus transfer vector designed for high level expression of foreign genes under the powerful AcMNPV polyhedrin gene (polh) promoter. 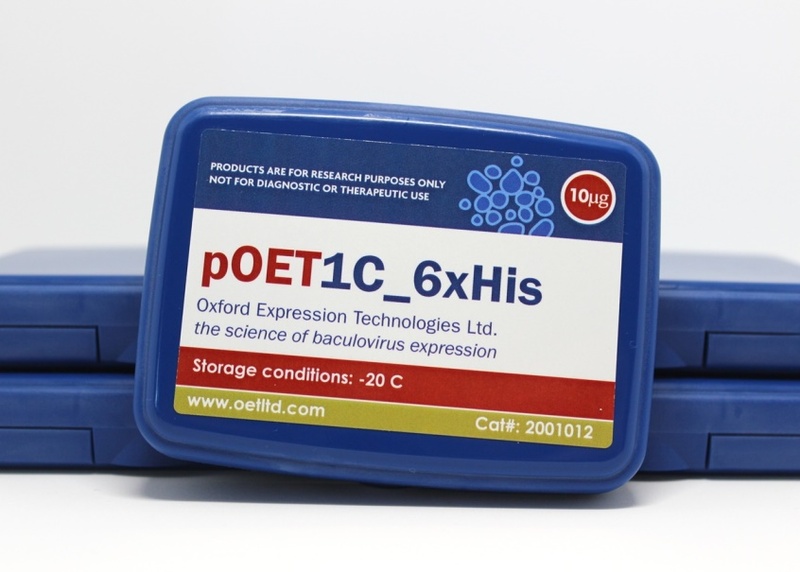 Derived from the pUC57 vector, it contains a vankyrin expression cassette, P-vank-11, which encodes an anti-apoptotic protein to help delay cell death following virus infection. 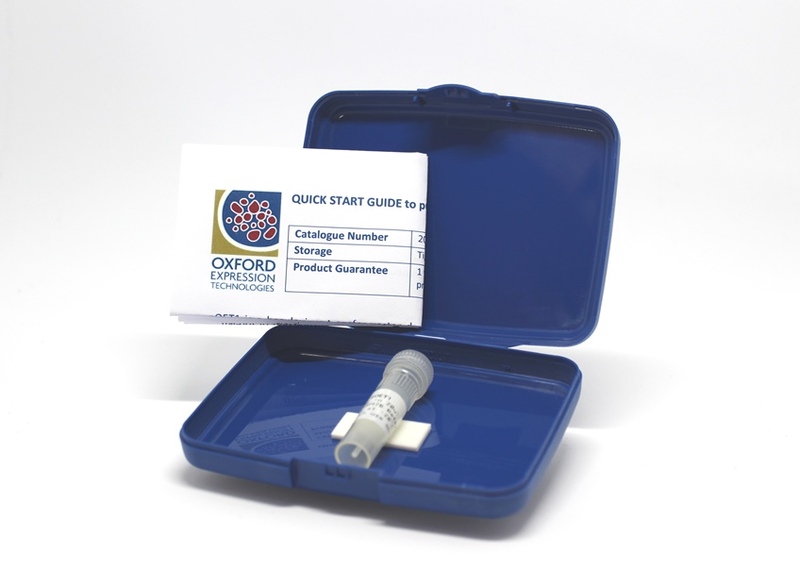 It has a bacterial origin of replication and an ampicillin resistance gene for selection in E. coli whilst the polh sequences have been replaced by a multiple cloning site (MCS) containing unique restriction enzyme sites for insertion of the foreign gene in the correct orientation. The pOET8.VE3 vector features an additional Honey Bee Melittin (HBM) signal sequence to target protein secretion and a C- terminal 6xHis-Tag® fusion sequence to facilitate protein purification. 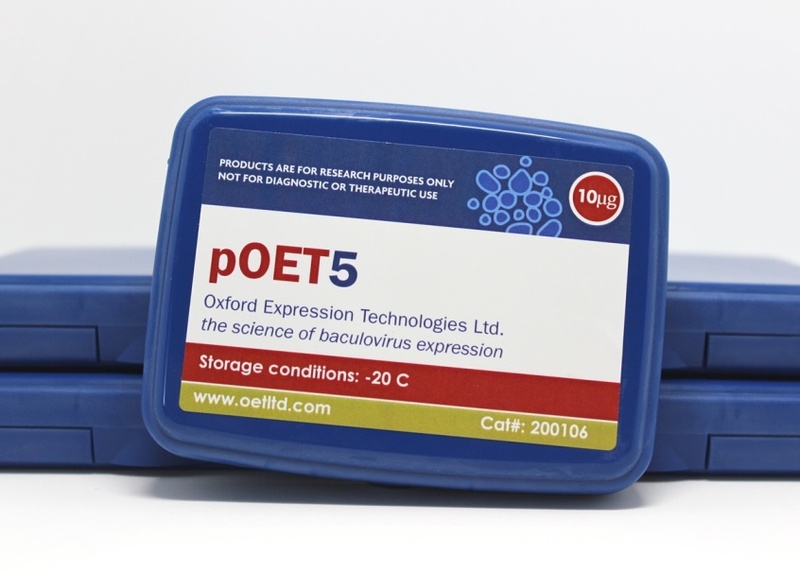 pOET8.VE3 is compatible with any baculovirus expression system that utilizes homologous recombination in insect cells. 1 Fath-Goodin, A., Kroemer, J.A., Martin, S.B., Reeves, K., and Webb, B.A. (2006). 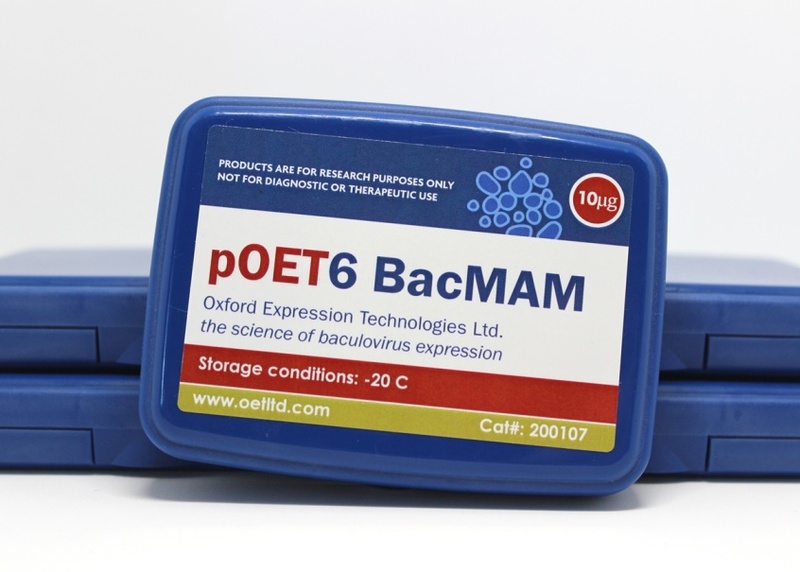 Polydnavirus genes that enhance the Baculovirus Expression Vector System. 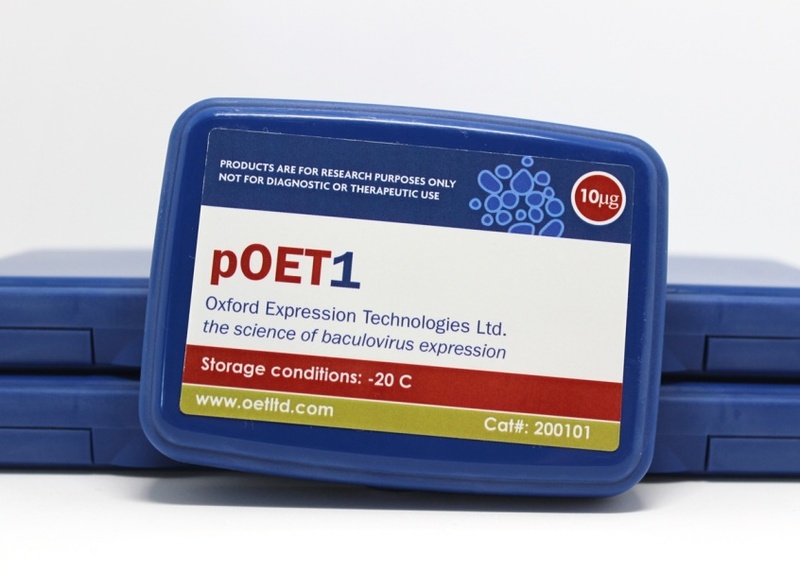 Advances in Virus Research, vol. 68, pp. 75-90. Click here for link.